These instructions will apply to Google Documents, Presentations, Spreadsheets, and Drawings. If you have a Google Document, etc. 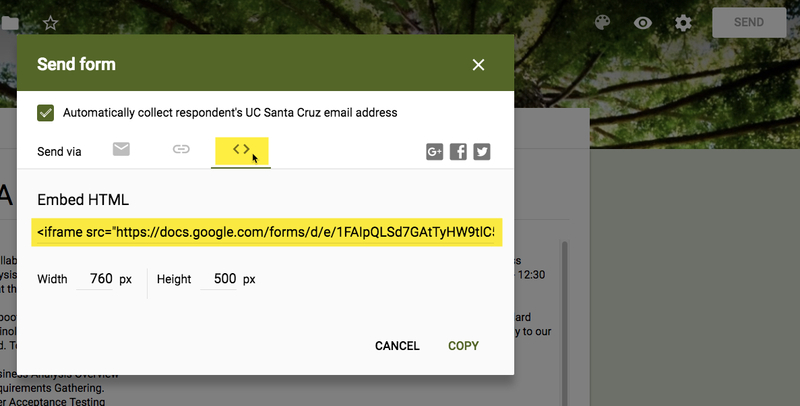 and you'd like to embed in your page, it's very easy. You have to have a little familiarity with HTML. 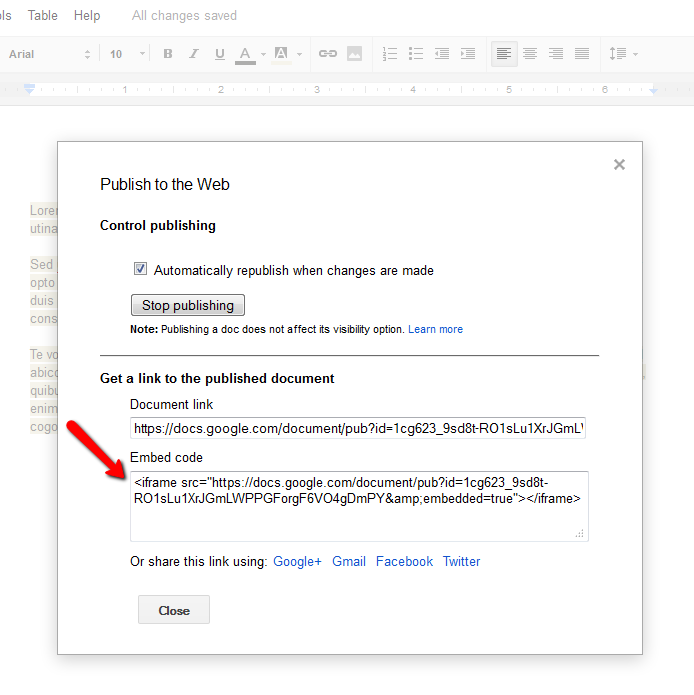 Under the "File" menu, click "Publish to the Web"
On the page you want the Google Doc embedded, open the HTML editor and past in the iframe code, click "Update"
In the window that opens, paste the iframe code where you'd like the form to appear. Click "OK" and then Submit and Publish your page. Your form should automatically appear on your page as well as any changes you make going forward.